Spring may now be upon us, but the months of wet and windy weather that Britain has endured this winter have made the roads more hazardous than usual for cyclists. 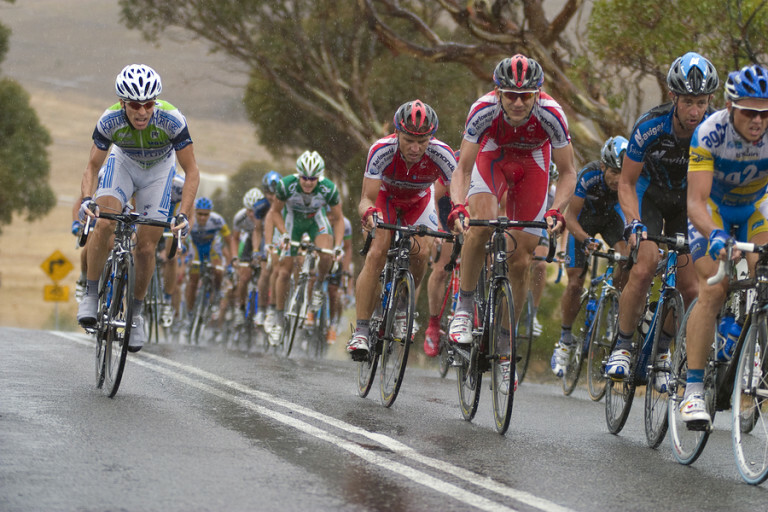 Road biking can present dangers when the road surfaces are wet, as such conditions can have a significant effect on a bike’s brakes and tyres as well as the rider’s visibility and cornering ability. However, there really is no bad weather for cycling; just the wrong clothing, lack of preparedness and a poor attitude towards safety. All these factors can be addressed with a little forethought. So before heading out in the ice, wind, rain and sleet, here are a few points to consider. Check your bike before setting out, even on a short journey, and make sure that your lights, brakes and tyres are all in good working order. Always wear protective headgear and high visibility clothing that ensures you can be seen by other road users. Versatile layered clothing is the best choice, so that you can add or remove layers as required. Three layers will more than likely be enough to help to get you through the inclement weather: A base cover to keep you warm and to wick perspiration away from your skin, amid layer which can be removed if the weather improves, and a waterproof, windproof yet breathable top level or shell. Your lower body will be constantly working and so may remain warm enough on its own, but if not then thermal tights can add that much needed extra coating of insulation. 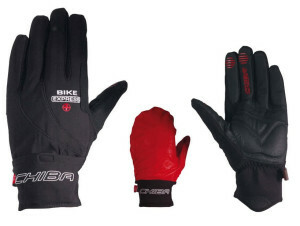 Robust winter gloves are another essential item. Comfort is not the only factor here, there’s a safety element to think about, too, because if your fingers become too cold and numb it could cause you to lose control of your bike. Waterproofing and a thin inner glove are additional options to consider. Your feet can also become very cold while cycling, so insulated, thermal wicking socks will help to address the problem. Once on the road you need to consider the conditions. Visibility can be poor when the rain is heavy. Precipitation gets blown into your eyes and you are often drenched with the spray from other vehicles. 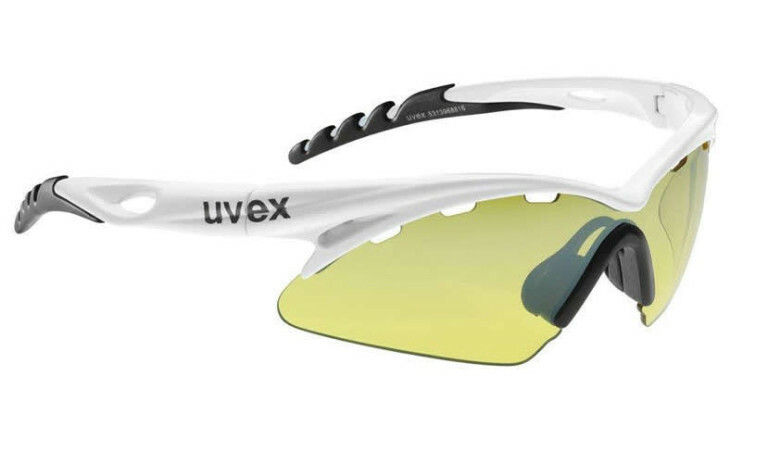 Glasses which have clear or yellow lenses allow for optimum visibility when it’s teeming down. Wet conditions affect the grip of your tyres on the road surface, so it is a good idea to keep your speed lower than usual. Wet brake pads function less effectively to slow you down so it’s best to keep them in a relatively dry state of readiness by applying a little light pressure on them just prior to full braking. This produces a ‘squeegee’ effect as the rubbing of the pads against the rims of your wheels wipes away excess water. Apply your brakes in equal amounts, half on the front and half on the back. Additionally, you should increase the traction afforded by the rear wheel by moving your weight in the saddle a little further back. 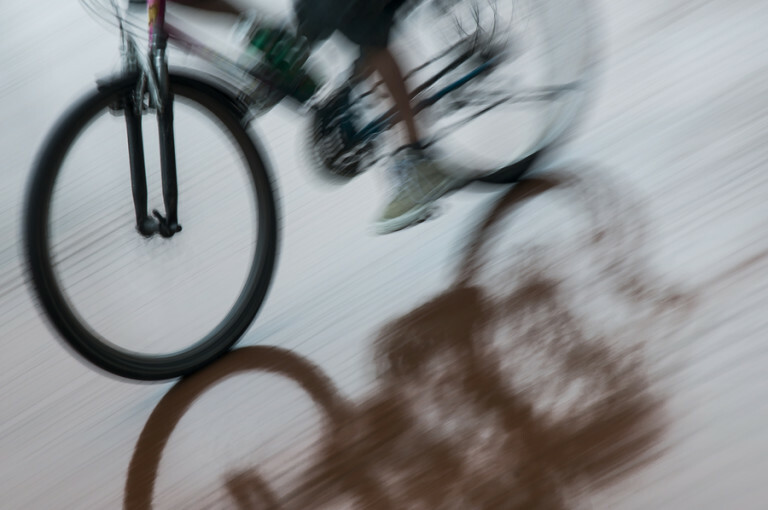 Continuing to pedal at the same time as you are applying the brakes to the rear wheel will decrease the likelihood of it locking up and sliding. Continuous pedalling keeps the tyre in motion even when you are applying a good deal of pressure on the brakes. This is a somewhat counter-intuitive manoeuvre, but works very well in poor conditions, so it might be a good idea to practice during dryer weather until you can master it. Road markings and drain and manhole covers have a tendency to be even more slippery than the rest of the road, so try to take extra care when riding across them, especially if turning at the same time. When you take a corner it’s advisable to keep your bicycle more vertical than you would in dry conditions, remembering to lean your body into the turn more than you lean your bike. Coping with strong winds can be very challenging when riding. Cyclists call this the ‘Invisible Hill’, as a howling gale can make riding a level road feel like you’re struggling up a mountain on the Tour de France. Try reducing the body area you present to the wind by rounding your shoulders and leaning in closer to the handlebars to lessen wind resistance. If the wind is gusting, select an easier gear and hold the handlebars a little more tightly. That way you are always ready to control the bike in blustery conditions. With a little foresight, effective clothing and well maintained equipment you will be perfectly prepared to handle anything that the unpredictable British weather can throw at you. Tagged chiba, how to, rain, skills, technique, top tips, uvex, Wet Weather, Winter. Bookmark the permalink.